Dizziness or vertigo occurs when your brain senses movement even if your body is stationary. Dizziness is the more common condition and can be caused by spinning around and/or temporarily losing blood flow to the brain due to standing up too quickly. On the whole, dizziness resolves itself fairly quickly. On the other hand, vertigo can be terrifying and long-lasting. When experiencing vertigo, things whirl uncontrollably around you and it doesn’t stop even if you close your eyes. Frequently, this sensation results in nausea and vomiting and may last weeks, months, or even years. Dr. Jeff will always ask if you experience the world around you spinning, or if the experience is felt as you yourself are spinning. In either case, we can help you. Maintaining balance is under the direct control of your brain and nervous system. Several systems of your body feed information directly into your brain and tell your body where it is in space. This sensory information comes from your eyes, ears, and from a lesser known system to the layperson, your proprioception system. Proprioceptive function comes from nerves that are located within your spinal joints. So yes, a large part of balance and where your body is in space is determined by how well your spinal joints move and function. Other proprioceptive input comes from proprioceptors that are located inside of skeletal muscle. Therefore, a symmetrical musculo-skeletal system is essential for improving not only your balance, but is an essential part of healthy brain function. Research shows that 80-85% of the sensory nerve information that goes into your brain comes directly from spinal joints and spinal skeletal muscle. This explains why blind and deaf people are able to keep their balance and remain upright and walk without falling. It’s the major input from skeletal muscle and spinal joints into your cerebellum first, along with the input from our eyes and ears, that maintain the integrity of our system of balance and in turn, our overall health and well-being. When conflicting information occurs, dizziness and vertigo ensue until the brain can sort out which facts are correct. Your nervous system is housed and protected within your skull and spinal column. The purpose of your spinal column and skull is to protect the system of the body that runs, controls, and coordinates all bodily function. Stress of a physical, emotional, mental, or chemical nature can cause misalignment of the vertebral column, interfering with the normal function of the brain, spinal cord and its nerves. In chiropractic, the state of misalignment and reduction of the function of your neurology is known as vertebral subluxation. When subluxation pinches the proprioceptor nerves, misinformation is sent directly to the brain, causing confusion, which in turn alters vital information the brain utilizes to create balance. This now-conflicting sensory input from spinal nerves, ears, and eyes causes the short-circuit and ultimately is experienced as dizziness and/or vertigo. In extremely rare cases, vertigo may be caused by a tumor or a stroke. Occasionally, vertigo may be caused by migraine headaches, sinus congestion or infection, whiplash injuries, concussion, or canaliths (crystals in the inner ear). Dr. Jeff has been trained in the detection and correction of vertebral subluxation. Through a variety of specific chiropractic and functional neurological techniques, Dr. Jeff is able to restore proper spinal function allowing for the restoration of the nervous system and the alleviation of the dizziness and vertigo. Our care will never mask your symptoms, but rather address the true nature and root cause of the problem, thus arresting the situation and not allowing it to become a chronic condition. Ptak Chiropractic is Here to Help! Dr. Jeffrey Ptak, DC, MA has nearly 3 decades of experience providing chiropractic care to thousands of patients. 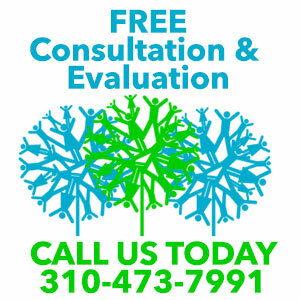 If you are experiencing dizzy spells or the nauseating effects of vertigo, please call our office at (310) 473-7991 and schedule a consultation in our Los Angeles office. Dr. Jeff will be able to quickly determine whether your condition can be helped by chiropractic care.